Clabots has been teaching Industrial Design at Pratt Institute since 2015. Currently, he teaches an innovative senior capstone design studio entitled Design in Context. This course asks students to look outside of themselves when designing a product and look at the real-world needs of the modern day. To accomplish this, Clabots requires students to read news articles and identify changes in society, the environment, or markets that indicate problems which industrial designers are uniquely suited to solve. This approach is centered around the three specific questions that drive Clabots’ design philosophy: Why, How, and What? Why does this problem need design as a solution, and Why are industrial designers uniquely positioned to solve it, rather than doctors, engineers, or policy makers? How do you reframe the problem to find a new white space for innovation? What is the actual object that can solve the problem? Clabots' approach also focuses heavily on design theory, pushing students to understand how they are thinking and making decisions. He speaks about design in terms of lateral and linear thinking: lateral thinking being the exploration of different ideas, and linear thinking being the development and refinement of those ideas. Clabots encourages students to think through a number of ideas, compare the best options, and move forward to refine those options. When development stalls, one can employ this strategy to explore different variations on a concept to see if there is a better way. 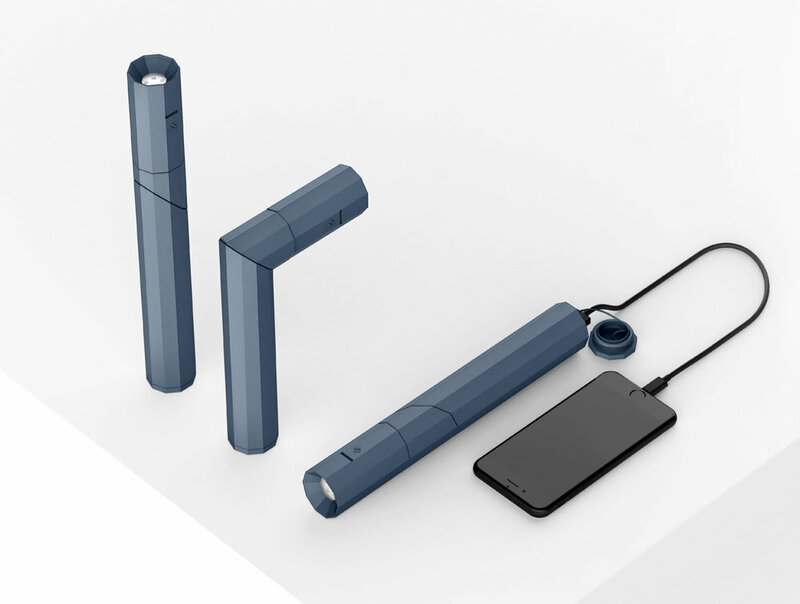 In response to the growing number of cell phone users in countries with limited access to electricity, David Min designed a kinetic USB charges that used centrifugal force to do generate electricity with reduced effort by the user. It also has the added funstion of a flashlight. Ryan Choi identified an increase in use of portable toilet in mobile public spaces. He focused on the issues with the existing design that has not been updated in decades. By rethinking the structure based on the pain-points of transportation and servicing he created a nesting outer structure and a removable seat and tank. Sylvia Hanxiao Zhu looked at the problem of Elderly individuals suffering burns in the shower do to poor motor control and reduced feeling in their skin. By creating this hydro powered water temperature thermostat that is self powered and compatible with most shower fixtures, she ended up creating a product that is valuable for everyone. Daniel Hounsell started by looking into the wide spread of the Zika virus. By observing the conditions in the Central and South American countries most effected by the decease, he found that 29% of the mosquitos in those areas were bred in discarded tires. Daniel sought to change this situation by designing a tire that used less material and had no interior well to hold water once discarded. He did so by moving the compression zone of the wheel from the tire to the hub, using a new variable durometer plastic molding process. Zoe Berman observed the amount of waste created by the growing trend of food trucks. Honing in on Cutlery, she developed a 3-in1 product that uses 50% less material than a traditional plastic fork spoon and knife given away with most takeaway meals. She went further to find a bioderadable plastic substitute four the product lessening its enviornmental foot print even further. Martha Nunez identified an increase in lower limb leg amputees due to veterans injuries and diabetes. After meeting with amputee support groups, she focused on an overlooked issue many amputees had difficulty with, showering. 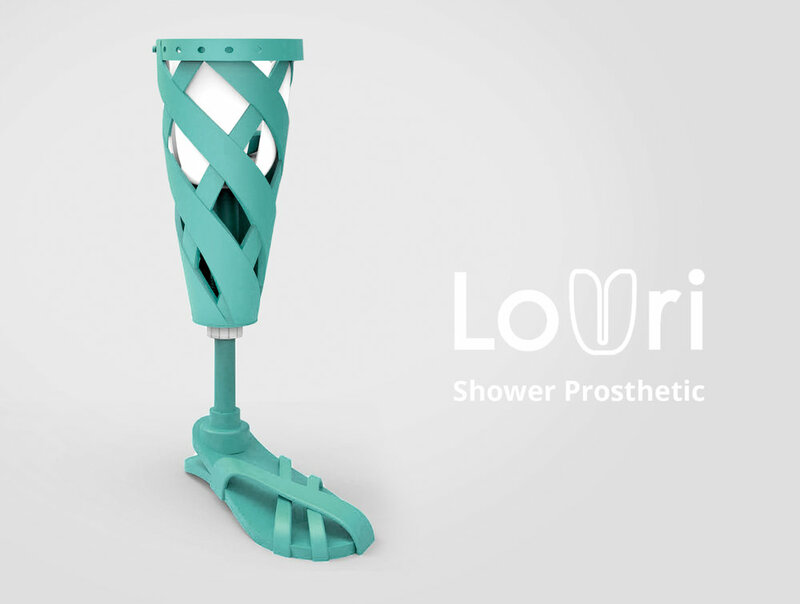 By flipping the paradigm of limbs developed for 18 hours of use to a limb developed for 8 minutes of use, she developed and inexpensive, one size fits all adjustable shower prosthetic.